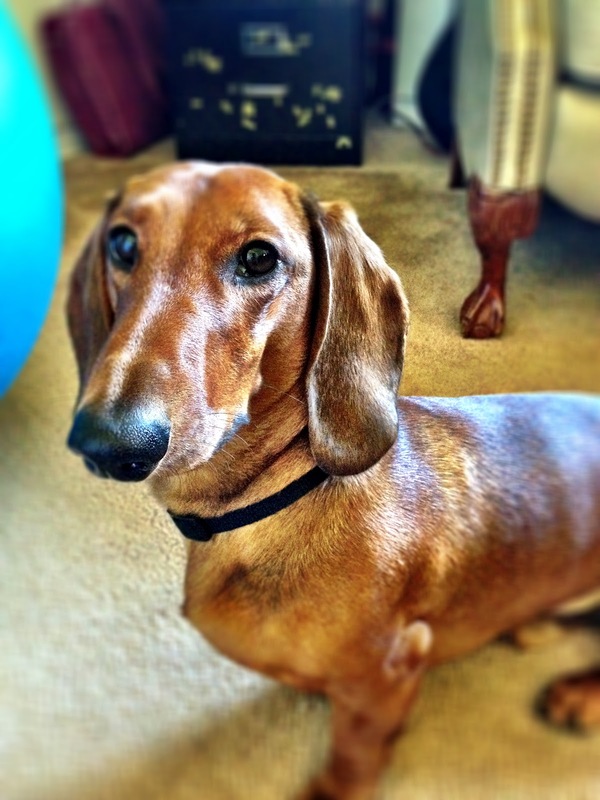 Outside the Rat Race: Why Is My Dog Frisky? Why Is My Dog Frisky? I'm attempting to get some work done this morning, but my cute dog, Vinnie, has other plans. He's pulling at my shorts, my shirt, and on occasion attempting to hump my leg. Thanks dude. You can stop now. I just don't get it. I know that on occasion it means the dog is trying to dominate you. Other times he's genuinely frisky. I'm honestly not sure which one this is, but it's time to stop. By the way, I did get him to sit long enough for me to take this picture, and then he jumped on me again. What a dog!